Nasarawa state university is located in Keffi Local government area in Nasarawa state, Nigeria. 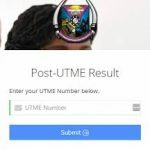 This page will reveal all the information you need on how to register for the school’s post UTME, how to check the results and how to pay. The university’s management wishes to inform all interested candidates of the release of the post UTME screening form for 2018/2019 session. Please note that the minimum recognized cut off mark is 170. 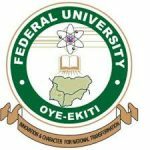 Only candidates who sat for, and chose Nasarawa state University, Keffi as their First Choice (DE and UTME) in the last computer-based examination conducted by the Joint Admissions and Matriculation Board (JAMB), and scored at least 170 in the mentioned exams are eligible. Pay the sum of N2,500.00 (2000 screening fee and 500 bank administrative charges) for the screening exercise through REMITA payment platform in any branch. Candidates are required to present their RRR print-out from the bank as proof of payment. Endeavor to make all payments 48hours before the expected date of screening. REMITA payments can also be made by candidates using an acceptable debit card (Visa, Verve and MasterCard Or by printing the REMITA retrieval reference (RRR) slip and proceeding to any of the banks on REMITA platform. -On the “what do you want to pay box”; choose; 2018/2019 POST UTME. -Type in the all Necessary details and proceed for payment. (Remember: candidates are to come with their RRR print out from the bank for confirmation). Applicants don’t have to make the trip to Keffi to make any payment. Mobile Phones and other electronic devices are not allowed into the venue. Parents, Guardians and unauthorized law enforcement agencies will not be allowed into the screening venue. The university is not responsible for payments made into any account other than the one provided. 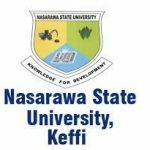 Applicants for Faculties of Administration, Arts, Education, Environmental Science, Law, Natural and Applied Sciences and Social Sciences are to turn up at Nasarawa State University Main Campus along Keffi- Akwanga Road, Keffi for the exercise on the dates and time indicated above. Applicants for Faculty of Agriculture are to turn up at the Faculty of Agriculture, Lafia Campus on 14th August, 2018. Applicants who refuse to turn up for the screening exercise on the dates stipulated above will not be considered for admission into the University during the 2018/2019 Session. 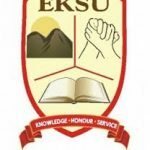 Login to https://nsuk.edu.ng/2019/01/15/undergtaduate-2018-2019-admission-list/ for a comprehensive list of successful candidates.